If you're looking for a way to improve your game knowledge and mechanical skills or learn some new car tricks we can help you with that. You can purchase as many hours as you need and we will provide you with one of our finest Rocket League coaches. Once the coach is assigned you can communicate with him/her via direct the blue chat on site and plan when you want to start the coaching and what you desire to learn or improve on. The Coaching is being performed via Skype, Discord or any other voice chat program. When you purchase please leave a note of the times that are you are available. There is a live chat (blue) window at the bottom right corner of the website which you can use to specifically speak to your coach. We will compromise with you and get the best coach that fits you and your timetable. New techniques, strategies and knowledge. You can ask your coach specific things you want to learn this way you can take advantage of coaching time purchased and make the most out of it. It is also easier for the coach when you know what you want to learn. Learned a great deal of mechanics which was super useful. He was really good at teaching strategy and techniques of the game. I can't wait to improve on what I have been taught and come back for more sessions! This guy was a 10/10 coach! miguel is a very nice guy and it was a very nice coaching ty! Nice guy, helped me out pretty good. Rocket League caught the eye of gamers and non-gamers alike with its refreshing take on two classic video game concepts: cars and soccer (football). No one ever saw this groundbreaking combination coming, but Rocket League entered the market and took everyone by surprise. Unsurprisingly, this game has become one of the most popular multiplayer games of today. It is enjoyed by millions of players all over the globe, from kids to adults, from experienced professional players to casual gamers. With its unique concept and riveting gameplay, Rocket League has taken over the hearts of many so much so that players everywhere go the extra mile and avail of Rocket League coaching to help them become better in the game that they love. This game is a delightful mix of everything that a player can ever ask for – two classic games rolled into one bright and colorful package that keeps you on the edge of your seat. It is undeniably one of the hottest games available today. Below, we have compiled a short list of some of the biggest reasons why Rocket League is such a popular game for such a wide demographic – with so many players even finding that having a Rocket League coach is just as essential as having the game itself. Rocket League is certainly nothing that the video game community has ever seen before. What’s even more amazing than its very refreshing concept is the incredibly simple goals and mechanics that govern the game. It’s straight up and simple. You simply get the incredibly large ball through past the opposing team’s defenses and to the net using cars that can drive all across the field and even over the walls. Much of Rocket League’s success can certainly be attributed to the fact that it is entertaining, fun and that nothing could be simpler. However, the game is also incredibly fast-paced and riveting, making it quite addictive as it leaves you on the edge of your seat, clutching your controller with white knuckles as you try to score those goals. The graphics for this game are smooth and stunning. What’s even more fun is that the concepts are borderline absurd, which is exactly what makes it so different, so fun and so refreshing. Cars twirling in the air like acrobats as they try to pass the ball, sparks, and lights shooting out of spectacular shots, the bright lights and colors exploding all over the screen in a flurry whenever the ball hits the net and a goal is scored, Rocket League does a good job of entertaining players and making the gameplay fun on an incredible new level. Balloons, fruit chunks, and even a dancing Grim Reaper – everything that you can possibly imagine, you can probably find in this ridiculously addictive game. Since it is one of the most popular games in the market, and due to its multiplayer nature, finding new friends to play with in-game is one of the easiest things to do in Rocket League. There is not a single dull moment within the server as players are spread out all across the globe.With all of this in mind, Rocket League’s current popularity should come as absolutely no surprise. Millions of dedicated fans and competitive players are engaging and indulging in this amazing game with so many of them agreeing that a Rocket League coach has become even more essential to enhancing the gameplay and maximizing a good gaming experience. Why Get a Rocket League Coach? For the many fans and players of the game, Rocket League coaching has become almost necessary to playing a good game. Because the game is incredibly competitive, many players understand that getting a coach is the best thing that they can do to improve their game. Rocket League coaching not only helps you understand the game better and improve how you play, but it also enhances your mechanical skills, which are crucial to winning a game like Rocket League. Coaches teach you new car tricks and give you secret hints and tips that are all meant to help you improve the way you play and achieve your goals. Through Rocket League coaching, you will learn new skills and techniques to help you become the very best player that you can be. 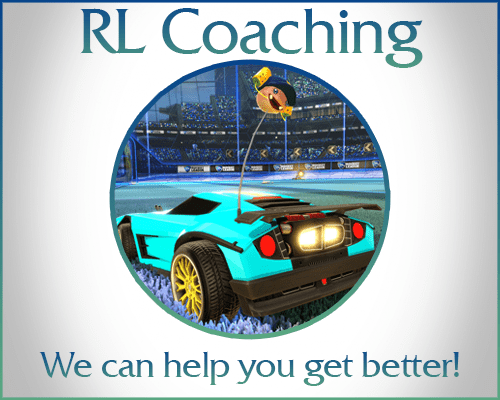 Whether you are playing Rocket League competitively or solely for recreation, coaching can benefit you in ways that you never could have even imagined. We understand that all players have different gaming needs. We are dedicated to helping you optimize your gameplay as well as provide you with a coach that is best suited to your needs. You can communicate with coaches directly through the blue chat on the website, and plan what you want to be coached on. You can rest assured knowing that all of our coaches are well-trained and well equipped to help you with anything that you need and to help you hone the skills that you want to develop. ProBoosting provides you with a quality guarantee, meaning that the services that you will receive upon availing of a Rocket League coach from us will be nothing short of the best. We prioritize making sure that the coach that will be assigned to you will be the one that is best suited to meet your unique needs. We also do our very best in order to make our services as convenient and easy to access as possible so that you will not have to think too much about the process of availing of a coach and just proceed straight to being coached and improving your in-game skills. In addition, ProBoosting offers a safety guarantee. This means that by purchasing from our site, you can be sure that your information is safe. We also offer a wide variety of payment methods for your convenience. If what you’re looking for is a surefire way to improve your Rocket League game through a coach, ProBoosting is definitely the best choice.